In this book Thich Nhat Hanh shows us how we can instill the habit of happiness in our consciousness. With humour and compassion, Buddha Mind, Buddha Body explores how the mind functions and how we can train ourselves to more effectively create the conditions for our own happiness. Category: Buddhism. Tags: 9788179928233, Buddhist philosophy, Buddhist teaching, Jaico, mind body spirit, Zen Buddhism. 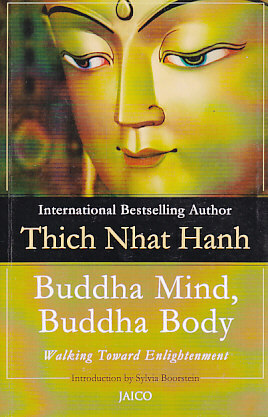 Buddha Mind, Buddha Body emphasizes the importance of creativity, visualization, and meditation, and offers concrete exercises to improve mental clarity and restore our mind/body harmony. Punctuated by stories from the life of the Buddha, as well as stories and observations from Nhat Hanh’s own life.